Millions of litres of clean water have been wasted through leaks in aging infrastructure, but Canadian municipalities are trying to stop the losses. When a water pipe bursts in the basement or bathroom of a house, there's not much hesitation about what to do: stop the flow, get the leak fixed. But what if a municipal water pipe has a long, slow leak deep beneath the surface of the ground? Millions and millions of litres could seep away unnoticed for years. And they have — all across Canada, wasting millions of tax dollars already invested in making that water safe to drink and trying to get it to every tap. In some municipalities, there have been estimates of water loss as high as 35 or 45 per cent. A 2009 study said leaky pipes cost Ontario 25 per cent of its drinking water — enough to fill 131,000 Olympic-sized swimming pools and equal to a loss of $700 million a year. But in a revolution that started more than a decade ago, some municipalities have been turning their water world on its head. Rather than only reacting once a pipe break is known, they're methodically trying to figure out just how healthy their aging pipes and systems are, and they're trying to find and fix leaks long before they turn into more significant problems. It doesn't sound like rocket science, but in the world of municipal politics and infrastructure, it was a sea change. "When you break it down, it does sound like common sense," says Ken Brothers, public works commissioner for Niagara Region in southern Ontario. "[But] the normal practices of operation didn't follow this line of thinking." Brothers, an internationally regarded expert on reducing water loss, was on the front line in changing the line of thinking. And it all started in Halifax. A provincially induced amalgamation of three water utilities in Halifax in 1995 started the ball rolling, says Brothers, who was with Halifax County and later the Halifax Regional Water Commission. Construction of a water treatment plant in Dartmouth three years later was also a strong catalyst: in a community where there were significant leakage problems, much of that plant's good quality water was never getting into the taps and bathtubs of Dartmouth residents. "Why produce that wonderful water … to waste it away?" said Carl Yates, general manager of Halifax Water. They set out to find a new and better way of doing things. "We went out and tried to find out the best worldwide best practice, not just in North America, which we were familiar with, and it just wasn't cutting it for us," says Brothers. The answer came from the United Kingdom. In the late 1990s, utilities had amalgamated there and then ran out of water. It was not pretty. "They set up a separate commission in the U.K. to look at water losses," says Brothers, "and I'd actually hooked up with the secretariat of that group that I met at a conference in 1999. "After several days of discussions with him, [I] really realized they were on to something that was very special. It was clearly a best practice, and we brought that back to Halifax." Key to that practice is dividing the area served by a utility into discrete areas and methodically tracking water flows to determine where leaks are. When leaks are identified, sometimes long before they might otherwise show up as gushers or ponds on streets, they are fixed. Changes in water pressure depending on demand also put less stress on pipes and mean fewer leaks and breaks. Standardized ways of determining and describing water loss have been implemented, moving away from more variable ways of assessing and describing unaccounted-for water. In the municipal world, Halifax's efforts to reduce water loss are now widely regarded as a success story. "They've been leaders on reduction of leakage for years," says Jennifer Jackson, executive director of the Canadian Water and Wastewater Association. With the changes the Halifax utility made to reduce leaks, the amount of water the system required was reduced, from 168 million litres of water per day in 1999 to 130 million in 2011. "We have basically captured 38 million litres per day in leakage," Yates says. With that reduction comes an annual savings of $600,000, in part because less water needs to be pumped and fewer treatment chemicals are needed. Advancing technology has also played a role in helping municipalities deal with their aging pipes and water mains. 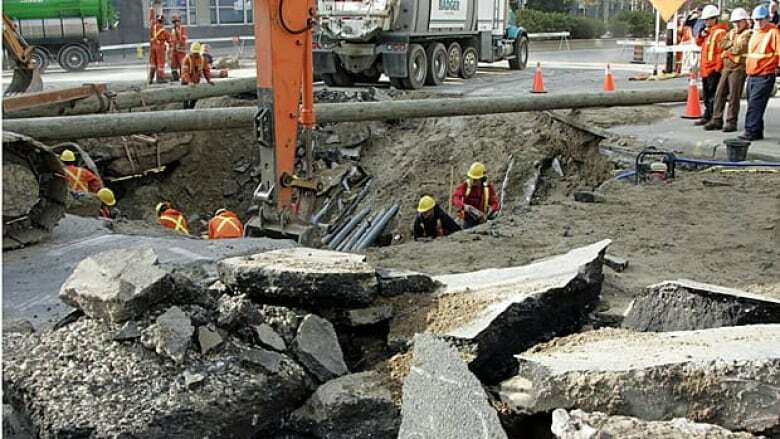 After a major water main failed in Ottawa earlier this year, the municipality had help identifying where the leak occurred from Calgary-based Pure Technologies, an infrastructure inspection, monitoring and management company. A robotic device tethered by a fibre-optic cable was also used to inspect the main. Pure Technologies president Jack Elliott says the company has seen a significant increase in business as municipalities facing cash crunches try to become more proactive in dealing with their aging infrastructure. "If our experience is anything to go by, we're seeing a dramatic change in attitudes in the industry from a very 'forget-about-it' type of perspective to a knowledge-based approach to asset management," he said. "We've seen very little if any impact from the financial crisis on our business and …. I think that's a consequence of shrinking budgets and the need to be more careful with available resources." To help a municipality find leaks, Pure Technologies charges $5 to $10 per metre of pipe inspected. A full condition assessment could cost $60 to $80 a metre. Elliott says a Pure Technologies client estimated that the total cost of evaluating a pipeline, identifying problems and making repairs only in areas where needed would cost about four per cent of the price of a total capital replacement of the pipe in question. In Montreal, the city is proposing a plan that calls for spending $400 million a year for 10 years to repair its aging water infrastructure. "If we don't do that kind of investment, it means that ... we're going to go backwards," says Richard Deschamps, vice-chairman of the city executive committee. "We're not able to maintain our asset right now. We know that." The city has spent almost $1 billion on the network since 2002 but is also coping with the impact of having not put any significant money into pipe maintenance in previous years. "We didn't make any investment in the 80s and 90s," said Deschamps. The plan under consideration also suggests a financing plan that includes a special tax. "We have to make a decision for the next 10 years, because we have to have a stable financing for our infrastructure. We can't go only year by year," said Deschamps. While it's all well and good to know where leaks are or which pipes should be fixed, municipalities have other demands on limited fiscal resources. "The reason why water pipes leak is really not a simplistic argument that people haven't been paying attention. We've been saying that for years," says Bryan Karney, a civil engineering professor at the University of Toronto who also consults with municipalities. "It's really hard to fix … if you don't have any money. You're forced to do Band-Aids rather than proper solutions. "We keep patching systems and hoping somehow the problem will go away. It doesn't. It just gets worse." Karney considers water is "the greatest bargain we have" and feels it should ultimately pay its own way. It shouldn't be that hard for anyone to rationalize paying a little more for it, he says. Compare your bill for water with what you pay for the internet, for example. "Which could you live the longest without?" 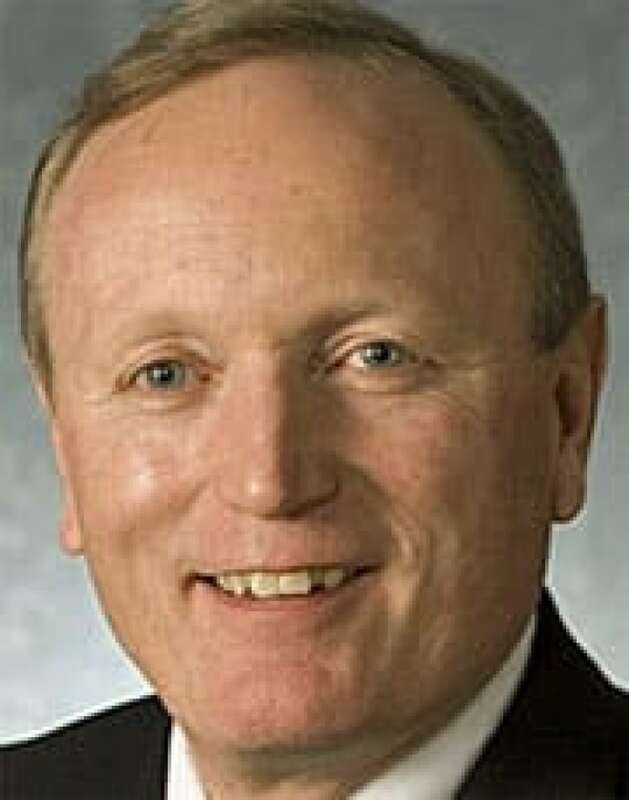 asks Karney, who notes his water bill is one-third of his internet charge. "The vast majority of us can afford to pay a bit more for our water, and that's what will eventually allow the system to be sustainable." Brothers also sees a need for a regulatory framework at the provincial level around water loss and leakage, and strong political and bureaucratic leadership on the issue. "If you don't have leadership from the top, it's going to be very hard to make investments in resources, processes, equipment, training and reporting of utility performance," he says. Brothers looks down the road and sees how failing to carefully manage water resources could start to limit a community's entire sustainability. "Today, it's a renewable resource, but we better manage it well," he warns.